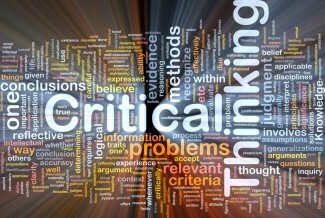 Many courses require candidates to sit a critical thinking assessment. This is true not only for Oxbridge (Economics courses will generally require you to have sat the TSA) but also for courses such as mathematics (STEP) and medicine (BMAT). Indeed, even if you choose to do a Masters course such as an MBA you will probably need to sit a test like this. So how can you maximise your chances? In this article, the primary focus will be on the TSA (Thinking Skills Assessment) required by Oxford and some colleges at Cambridge. However, many of the points will apply just as well to other critical thinking assessments. If you want to just cut to the chase and practice TSA tests online, click here. For Oxford the test is split into 2 sections. Section 1 is the critical thinking component – you have 90 minutes for 50 multiple choice questions. So that’s less than 2 minutes per question. The first 10-20 will take you far less whereas towards the end the difficulty increases and you might find yourself needing more than 2 minutes. Should convicted criminals be allowed to vote? Should we have a right to choose when and how we die? Does a country’s ideal political system depend on its level of economic development? Could a robot ever think like a human? Do patent laws encourage or hinder development? Do coalitions necessarily adopt policies which unite party leaders but alienate party followers? Is the general understanding of science damaged by the way it is presented in the media? Should governments only fund scientific research if it is of direct benefit to society? In each paper, you will find that some topics lend themselves to economics more naturally than others. In this case, its point 3 (economic development), point 5 (patents), final point (scientific research). The Book you mentioned but still want to Improve critical thinking. Am I just Too dumb or will I be Able to get maybe a RAW score of about 90 with Hard work? Hi thanks for the above tips. Would it be beneficial to present both sides of the argument for the essay-based question? Thanks! It’s good take a stance and argue your point of view but as you say it would be beneficial to show that you understand both sides of the argument. Would you be able to look at some practise essays of mine? Hi James, yes we can. Just head over to the “Shop” using the link above and book a mentoring session and we can focus on practice essays.